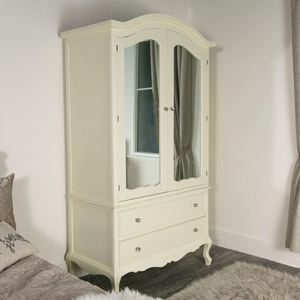 This wardrobe is part of our beautiful Elise White Range. 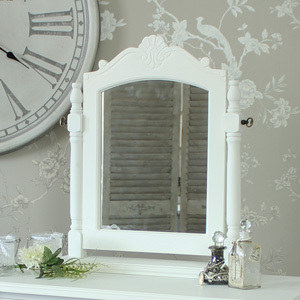 In a fabulous double armoire style painted in white. The perfect wardrobe for a vintage French bedroom. 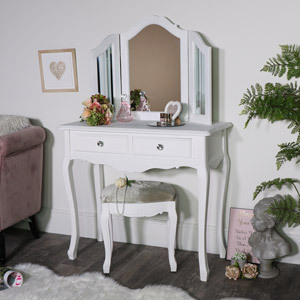 Such a stunning piece of furniture for your bedroom. 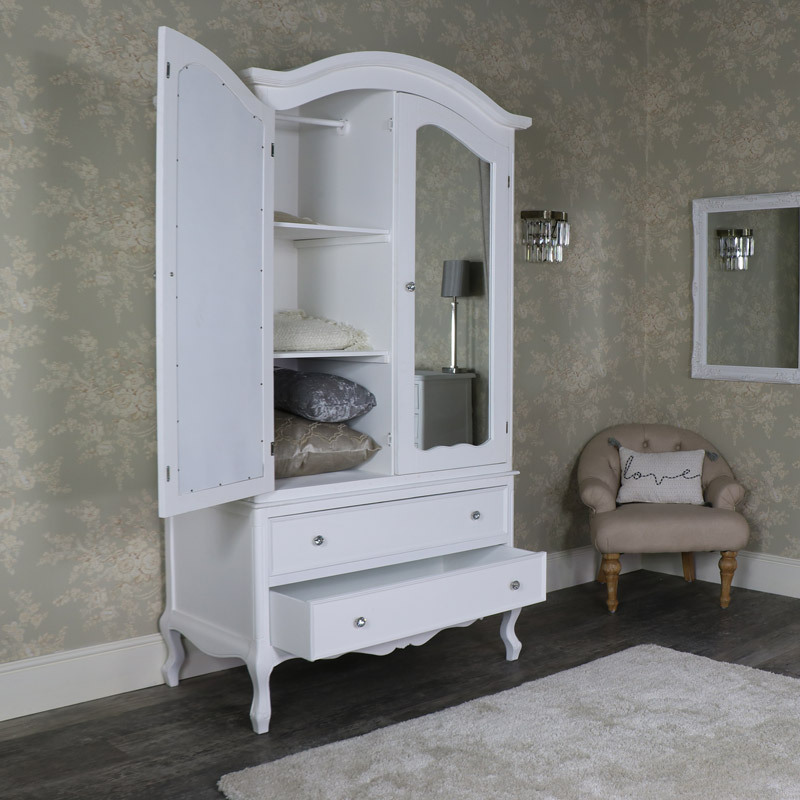 The wardrobe features a graceful arched top with 2 large double mirrored doors and 2 drawers at the bottom, ornate carving adds a charming touch. The doors and drawers are fronted with crystal style knobs. Offering an abundance of storage with a split wardrobe space that comes with hanging rail on the left and a removable shelf with another hanging rail on the right. The 2 drawers on the bottom give even more storage for clothes. 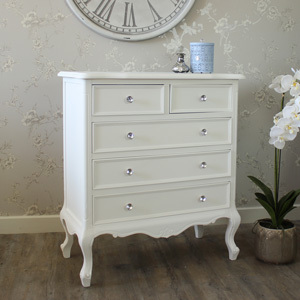 The Elise White offers excellent storage in stunningly ornate and vintage style. We have a great range of matching furniture for you to pick and choose what suits your needs. This wardrobe is part of our beautiful Elise White Range. 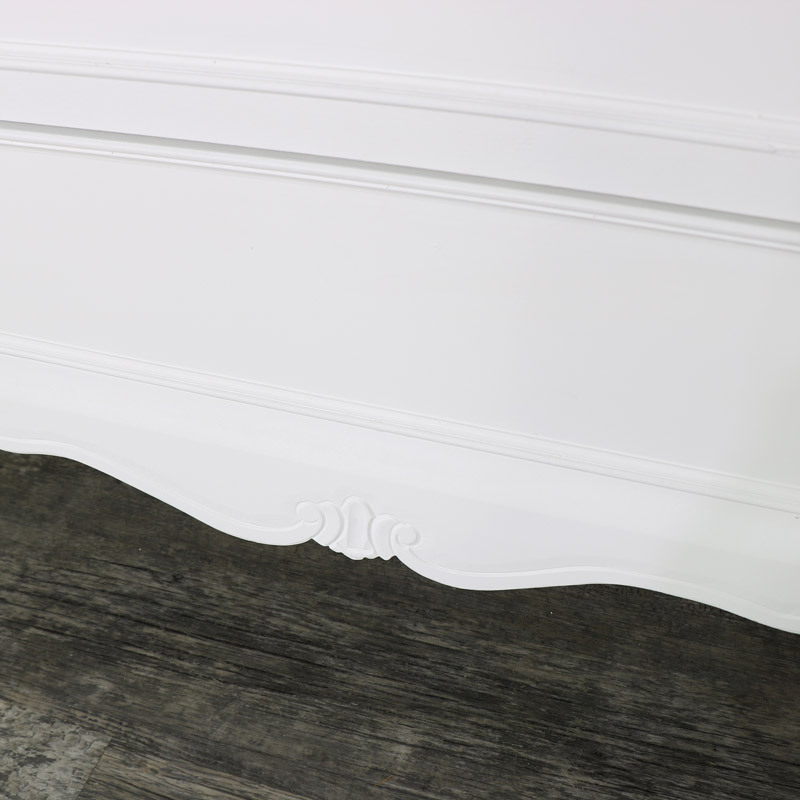 In a fabulous double armoire style painted in white. The perfect wardrobe for a vintage French bedroom. 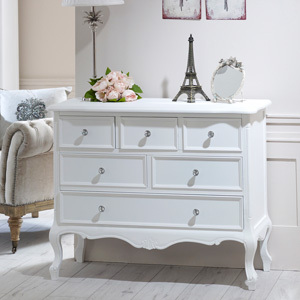 Such a stunning piece of furniture for your bedroom. 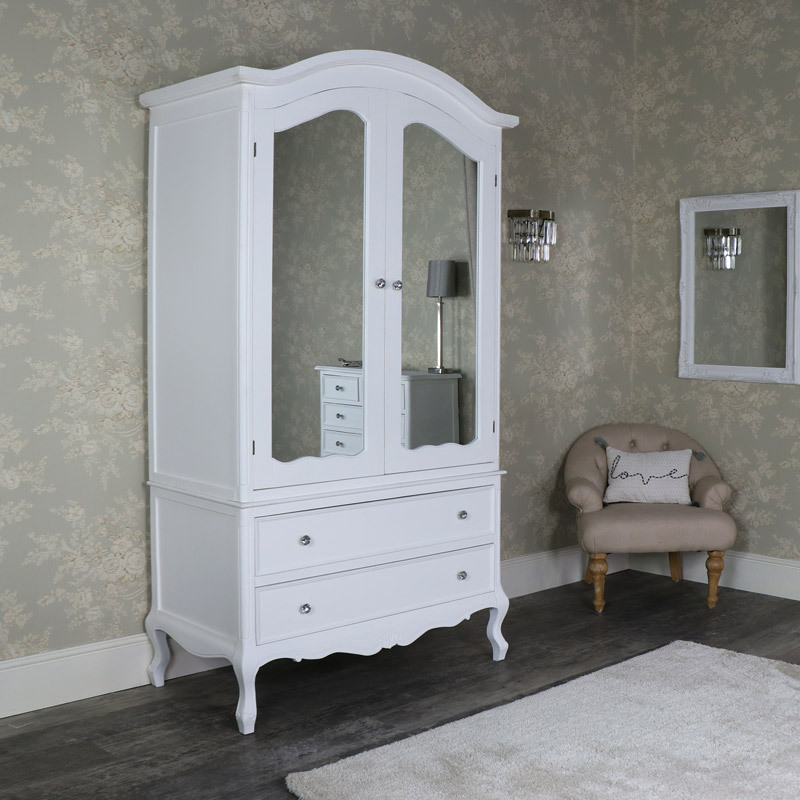 The wardrobe features a graceful arched top with 2 large double mirrored doors and 2 drawers at the bottom, ornate carving adds a charming touch. 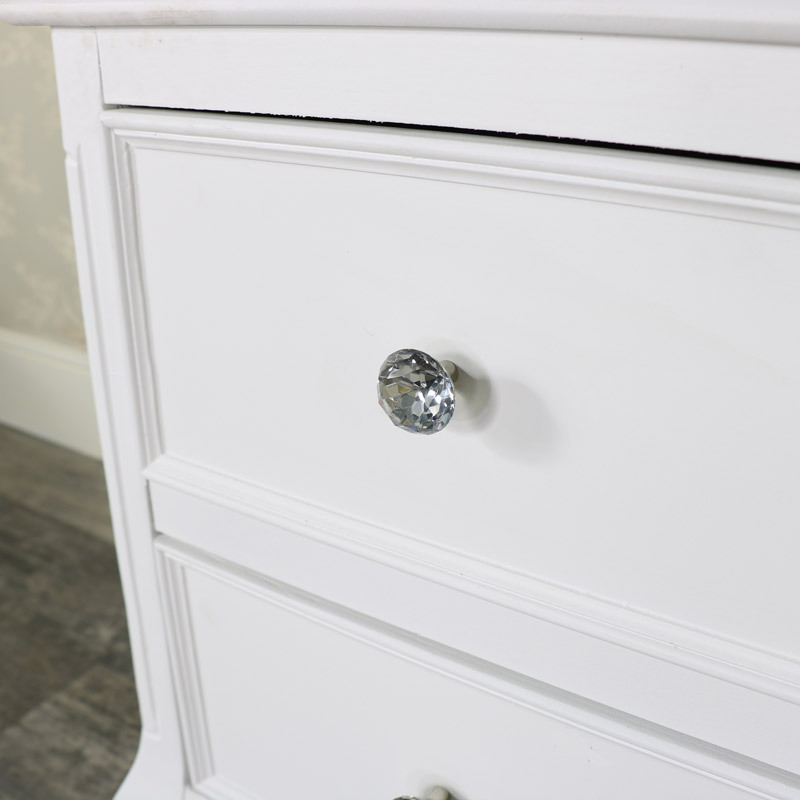 The doors and drawers are fronted with crystal style knobs. Offering an abundance of storage with a split wardrobe space that comes with hanging rail on the left and a removable shelf with another hanging rail on the right. The 2 drawers on the bottom give even more storage for clothes. 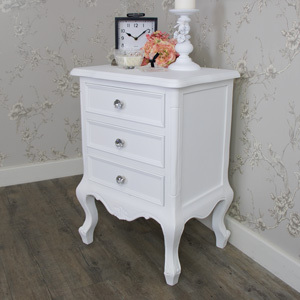 The Elise White offers excellent storage in stunningly ornate and vintage style. 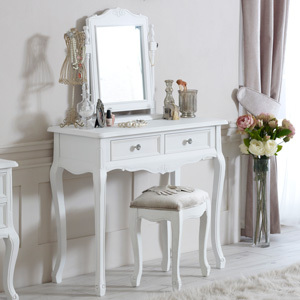 We have a great range of matching furniture for you to pick and choose what suits your needs. 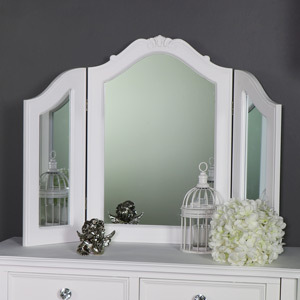 Made from wood and painted in white with 2 mirrored doors, featuring magnetic closing. The wardrobe comes partially assembled, making it easier to get up the stairs. The overall measurements of the wardrobe are 110cm x 200cm x 57cm (width x height x depth). 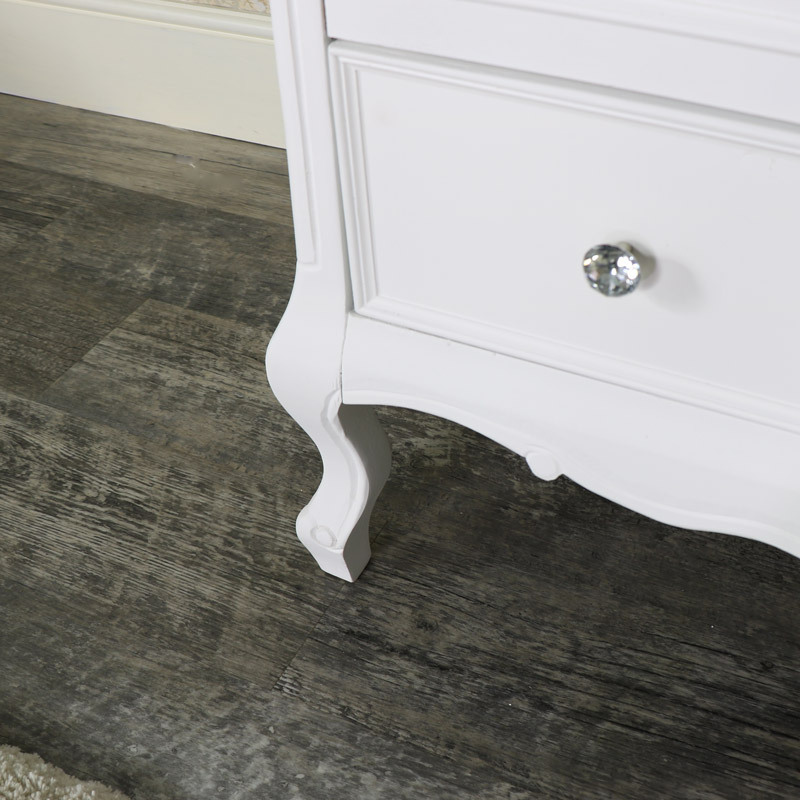 We have an exceptional range of furniture in a fantastic choice of styles, colours and finishes. With full bedroom sets or the choice of selecting only what you need.